WASHINGTON, Oct. 16, 2002 -- Fanimation Design and Manufacturing Inc. is voluntarily recalling about 60,000 ceiling fans. The hanger bracket can break, which could cause the fan to fall from the ceiling and seriously injure anyone standing nearby. Fanimation has received four reports of hanger brackets breaking, including three instances where the fan fell from the ceiling. No injuries have been reported. 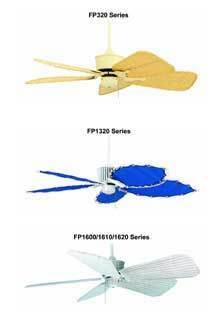 The recalled ceiling fans include the following models: the Islander series with model number FP320 and date codes 01-00 through 03- 02; the Louvre series with model number FP1320 and date codes 01-00 through 03-02; and the Tropicana series with the model number FP1600 and date codes 12-01 through 04-02. The model number and date codes can be found on the manufacturer's sticker, located just above the motor of the fan. Lighting showrooms, fan specialty stores and electrical distributors nationwide sold the fans from February 2000 through July 2002 for between $550 to $850. Consumers should stop using the fans immediately and contact Fanimation at (888) 284-8938 between 9 a.m. and 5 p.m. CT Monday through Friday for a free, easy-to-install backup bracket. Customers will not have to disconnect the fan or remove the existing bracket. For more information, consumers can log on to the company's website at www.fanimation.com. WASHINGTON, Oct. 8, 2002 -- Value City Department Stores Inc./Schottenstein Stores, of Columbus, Ohio, is recalling about 10,800 Red Devil gas grills sold at Value City and Schottenstein stores. The product's design allows consumers to light the grill at an air intake tube, instead of at the burner. Though the grill appears to function normally, gas inside the air intake tube ignites. The tube can reach temperatures of up to 750 degrees Fahrenheit and present a burn hazard to consumers. In grills manufactured before August 1998, the heat produced by lighting the grill at the air intake tube damaged the plastic support piece, and caused the grill to fall to the ground. When it collapses, flames from the grill can burn nearby consumers and ignite surrounding combustibles. There have been 44 reports of consumers suffering burns to legs, hands and fingers, including reports of some third degree burns, after the grills collapsed during use. More than 1,000 consumers returned their grills to the manufacturers because the grills collapsed. There has been one incident reported by Value City and Schottenstein Stores customers. These red metal gas grills have a tripod stand. They have a logo on the label of the lid and grill base showing a devil cooking at a grill with the writing, "Red Devil." The lid also reads "The Portable Outdoor Kitchen." Components sold with the grill include a heat plate, an oversized skillet with handles, a table-safe serving trivet, and carrying totes. Value City and Schottenstein stores sold these grills from about April 2000 through July 2002 for about $60. The recall is being conducted in cooperation with the U.S. Consumer Product Safety Commission (CPSC), which consumers to stop using these grills immediately. Consumers who purchased Red Devil gas grills from Value City or Schottenstein stores can return it to the store for a store credit. For more information, consumers can call Value City Customer Service at (888) 278-6370 anytime, or visit the firm's web site at www.valuecity.com. About 155,000 of these grills were manufactured by e4L Inc., of Encino, Calif., and, Quantum North America Inc., of Encino, Calif. Because the manufacturer is out of business, CPSC issued a warning about these grills in May 2002. Additional Red Devil gas grills were manufactured by Cadac, of Roodepoort, South Africa, but also are included in the recall. CPSC sued e4L Inc. and Quantum North America Inc. to obtain a recall, and an administrative law judge granted CPSC a default judgment when these manufacturers failed to appear. The firms are liquidating their assets under bankruptcy law. The Home Shopping Network (HSN), QVC, and Wal-Mart previously notified their customers about the hazard these grills pose, and provided a remedy. Since Quantum and e4L have declared bankruptcy, there is no remedy available for grills bought from retailers other than HSN, QVC, Wal-Mart, Value City and Schottenstein stores. Consumers who purchased their Red Devil Gas Grills from another retailer, should contact the retailer. If that retailer does not provide a refund, repair or replacement for the grill, consumers should contact CPSC at (800) 638-2772 anytime. Additionally, consumers who are aware of any incidents with these grills or who want additional information also should contact CPSC. About 19,300 of these grills, sold directly by e4L, were recalled in July 1998 because the burners could disconnect from the burner pan. The firm received 21 reports of the burners on these grills disconnecting and one consumer suffered burns. Even if consumers participated in this previous recall program, they should stop using these grills since this warning addresses a different hazard. WASHINGTON, Oct. 8, 2002 -- Viking Sewing Machines Inc. is voluntarily recalling about 11,000 Viking "Designer 1" sewing machines. Solder connections in the main power supply of the sewing machines can overheat, posing a fire hazard. Viking has received two reports of the sewing machine's power supply smoking and one report of a sewing machine catching fire. The fire was contained to the sewing machine. No injuries have been reported. Serial numbers beginning with "5" and ending with "3"
Serial numbers beginning with "4" and ending with "2"
Serial numbers beginning with "5" and ending with "0"
Serial numbers beginning with "6" and ending with "4"
Independent sewing machine dealers sold the recalled machines nationwide from January 1999 to January 2000 for between $5,500 and $6,000. Consumers should return the recalled sewing machines to the place where purchased to receive a free replacement power supply component. For additional information, contact Viking at (800) 446-2333 between 9 a.m. and 4:30 p.m. ET Monday through Friday.